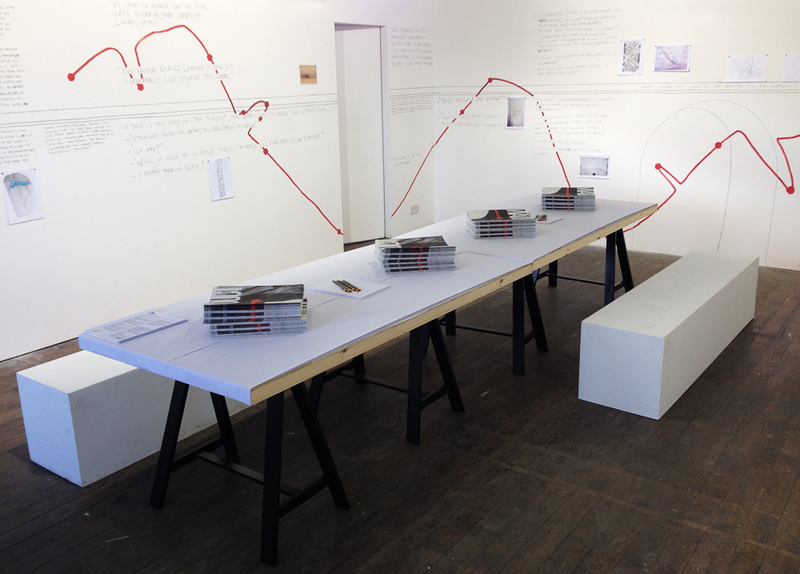 Commissioned by A3 Project Space for You Are Here. 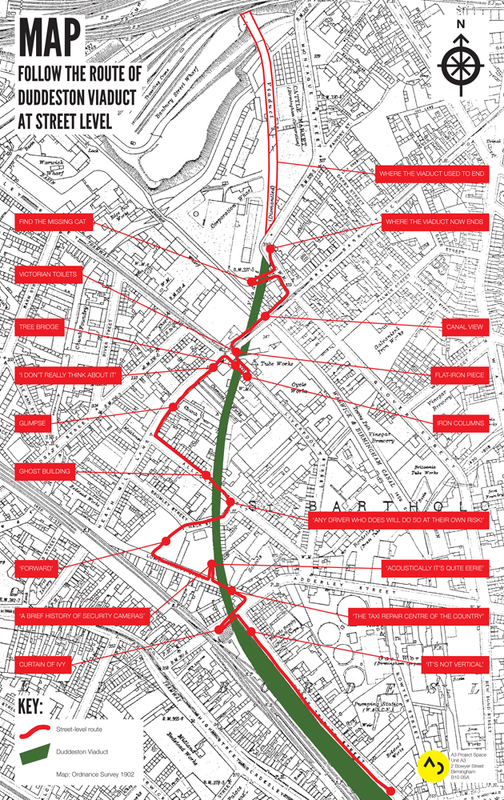 Research project looking at location and public engagement in Digbeth, Birmingham. 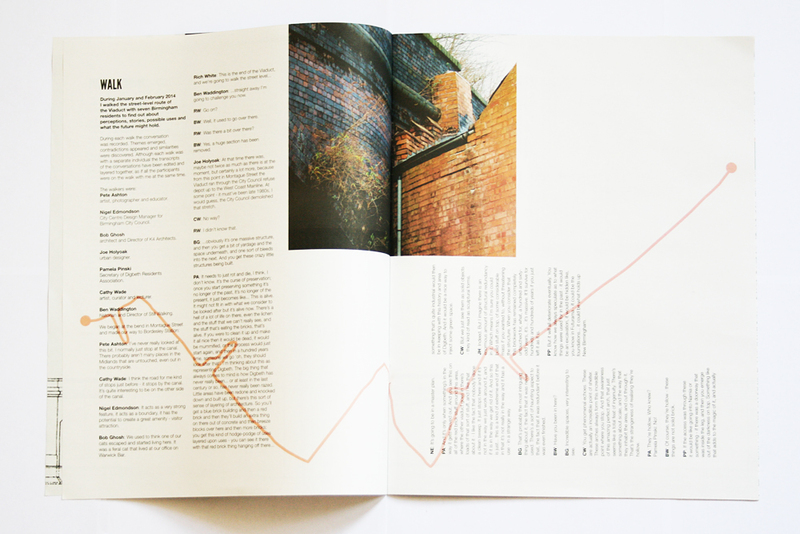 Rich was commissioned in July 2013 by A3 Project Space to develop a project for 'You Are Here' - a series of projects about Digbeth and Bordesley curated by Trevor Pitt. 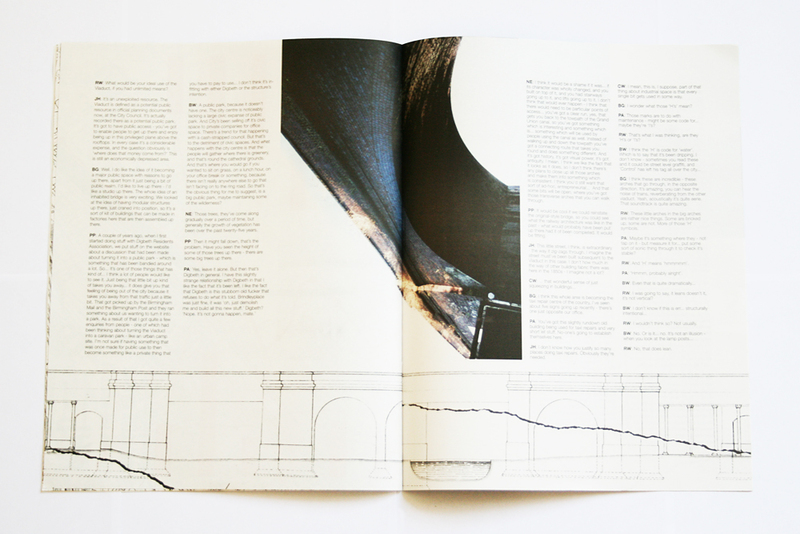 On visiting Digbeth Rich was struck by the sheer scale of the abandoned and never used Duddeston Viaduct, and intrigued by the stories surrounding its creation. 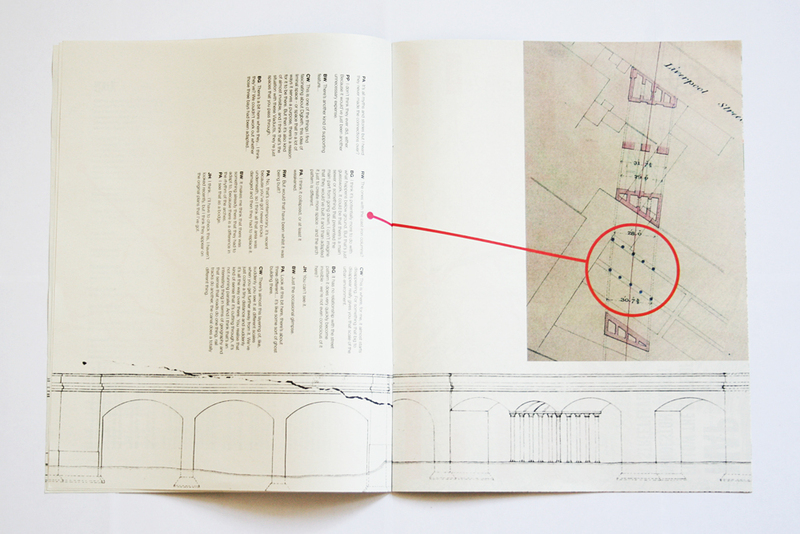 He began to research the Viaduct's relationship with Digbeth by plotting the route it takes at street-level and inviting people to walk it with him. 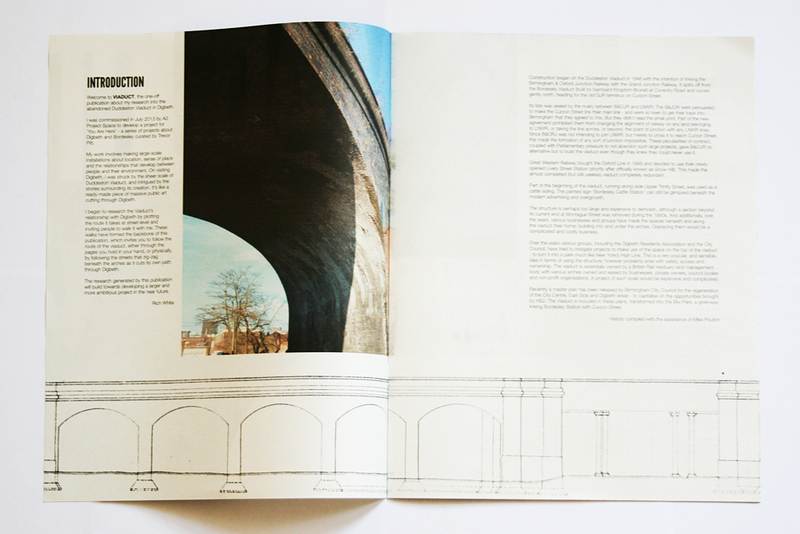 These walks have formed the backbone of a publication, which invites you to follow the route of the Viaduct, either through its pages, or physically, by following the streets that zig-zag beneath the arches as it cuts its own path through Digbeth. 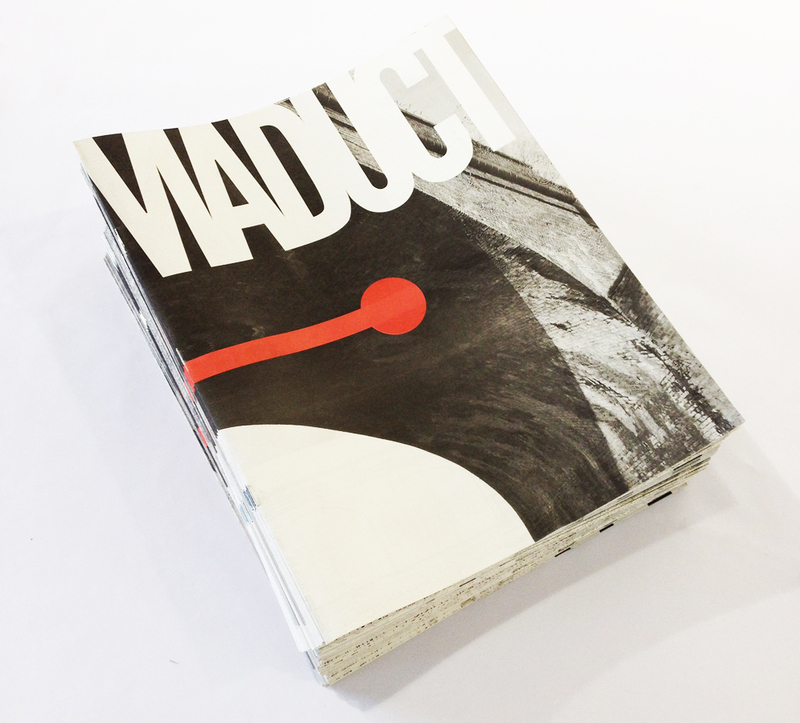 The publication was printed in an edition of 1000 unnumbered copies and distributed in arts centres, galleries and social spaces throughout Digbeth. A pdf version can be downloaded here. The research generated by this publication will build towards developing a larger and more ambitious project in the near future. Further information and research material can be found on the project blog.